For the LCS Your Local Comic Shop section we are inviting all of our Eager Readers the chance to promote their own local comic book shop (LCS) with a short description, photos, and a link to their web site. In digital marketing, quality backlinks to sites related to the sites’ subject matter, like comics, helps send people and promote your LCS! 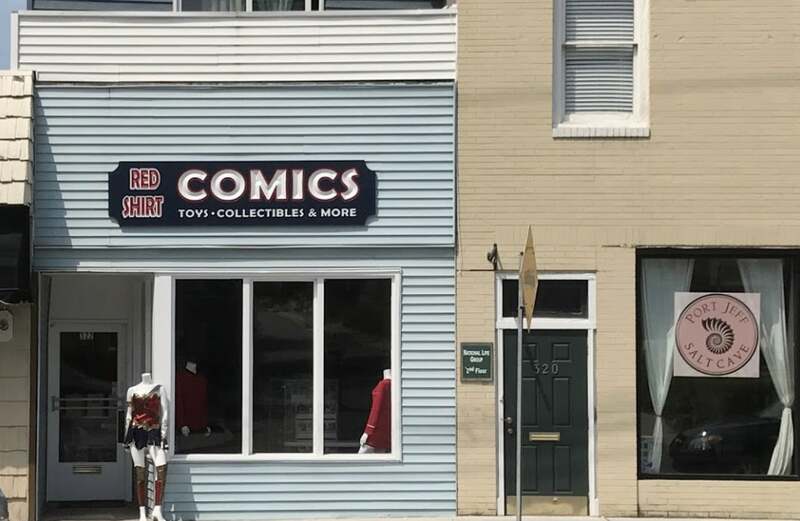 My local comic shop is Red Shirt Comics! It is a great place to get new books, vintage books and Gojira toys, and all manner of geek fanfare. 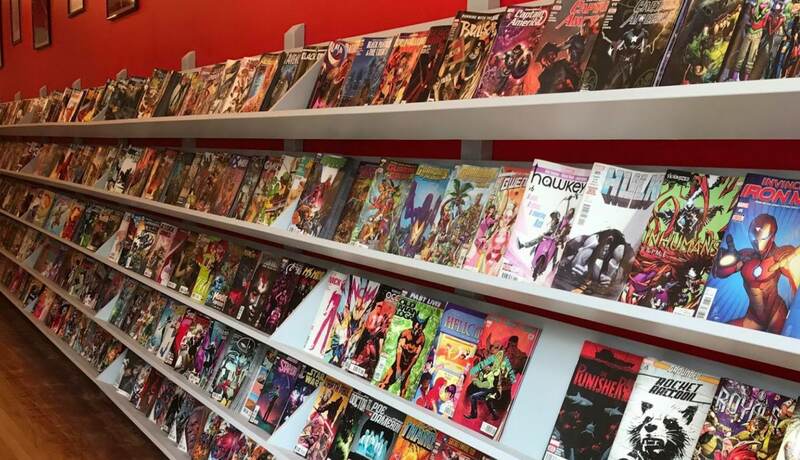 There is a pull list, clubs for Magic the Gathering and other reading or gaming endeavors, and most importantly a caring owner whose passion is the stories woven about speculative fiction, like Star Trek, and, of course, comic books. 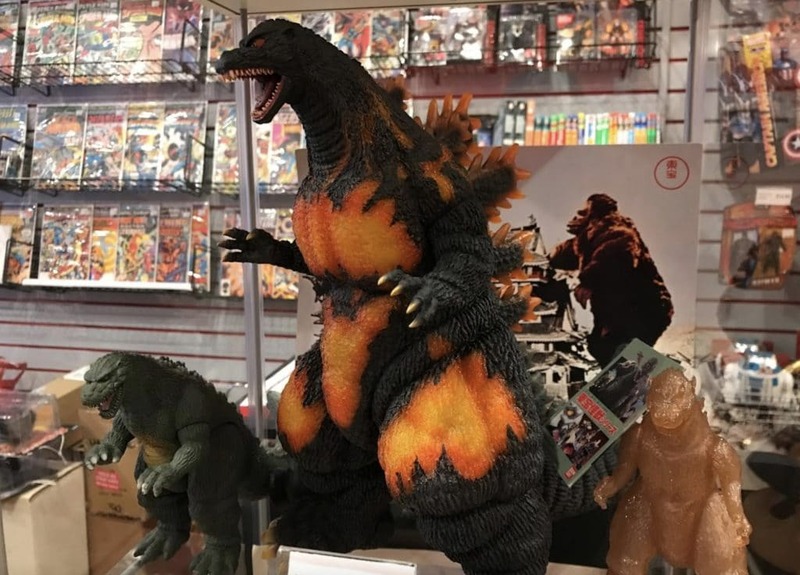 “I want to bring a modern, intelligent retailer’s point of view to the oft-times poorly executed comic book shop, while expanding on those pop-culture interests shared by comic readers, offering cosplay products, lifestyle goods, apparel and pop culture collectibles. “After losing my father to ALS just two months before my wedding, I sometimes think about the notion of Legacy. My father was an attorney. And while I’ll probably never go through Law School to pick up the family trade, it occurred to me that he was more than an attorney, he was a small business owner and entrepreneur, running a successful practice for longer than I have been alive. Help A Local Comic Shop!